I like to run in the mornings. A morning run forces me out of bed and provides an energy boost. It also allows me to focus on activities not related to running for the rest of the day. If I don’t get the workout in, I’ll often find myself thinking, “Well, damn. Now I have to rearrange this and that activity so that I can fit in a run.” In other words, I stress myself out. This weekend, however, I traveled into the foreign lands of New Jersey to visit my girlfriend’s cousin for an early Halloween party. We explored a pumpkin patch, ate brownies and more brownies, and watched a couple of foreign horror movies I had never seen (including “The Babadook” and “Fragile”). Throughout all of this, I was developing a slight cold, so getting a night of mediocre sleep in a foreign bed was worth it for the fun, but not the sickness. 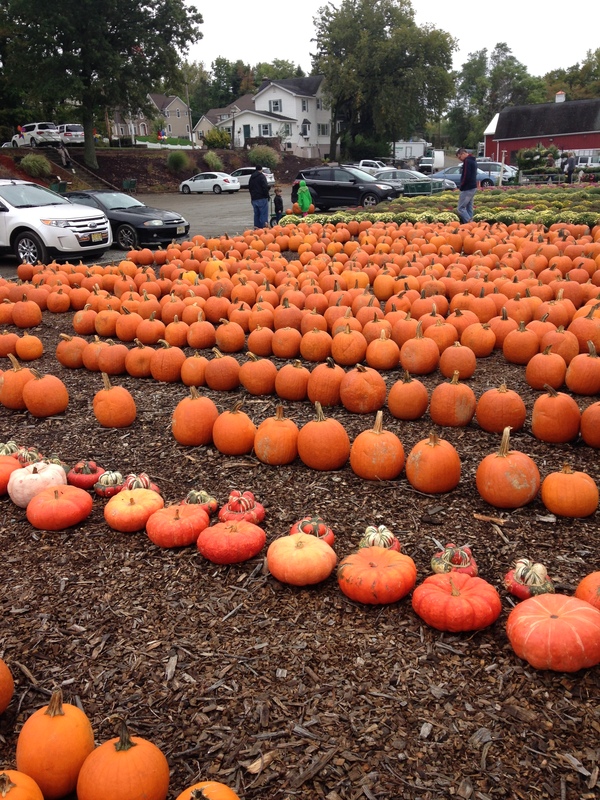 So many pumpkins (and decorative gourds . . . so seasonal) for such a little state! 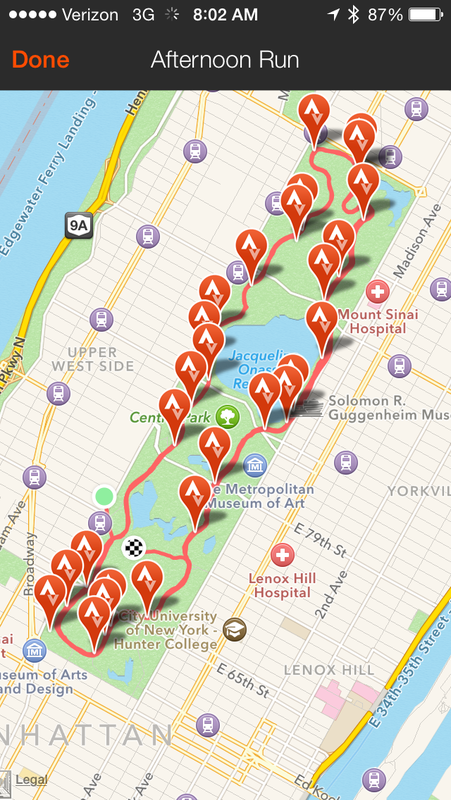 That said, between the train back to NYC and an extra two hours of sleep, I didn’t make it to Central Park for my 20-mile training run until 2:40 p.m. Would I finish before the sun set? Would the weather still be cloudy and wet as it had been all weekend? Would there be a million tourists clogging the running lanes? The answer to all these questions (of course) was: just relax! I ran a fairly steady pace and felt strong for most of the run, although my right leg began to feel sore after mile 15. The weather was absolutely fantastic: blue skies and 60 degrees with a slight breeze to keep you cool. And the running paths were mostly clear, with the occasional tourist cutting in on a bike because he or she wanted to take a picture of a tree or something. 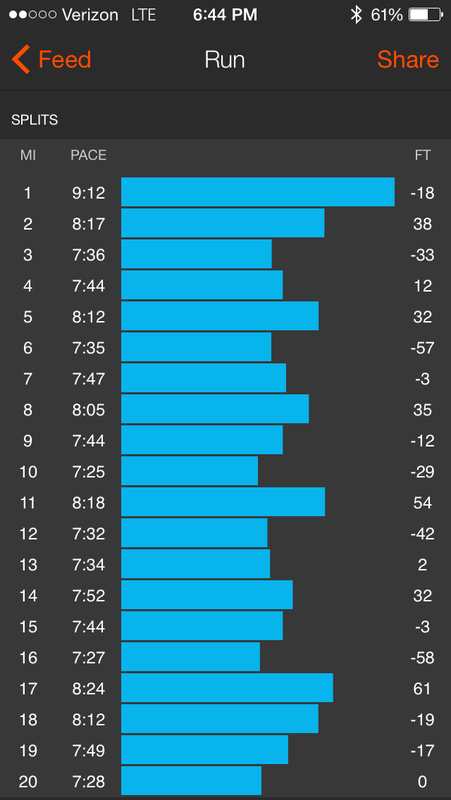 Besides the slight sickness, I’d rank this as one of the nicer runs I’ve done this training season. All smiles after a good effort. I tried out some new things on this run. Recently, I’ve been using gels instead of pinole/chia in large part because they’re easier to consume. I had one before the run began, one around the start of mile 9, and one in the middle of mile 15. I also didn’t carry a water bottle, utilizing the many water fountains in the Park. I only had to wait on line once, which wasn’t so bad. That’s always my biggest fear about not carrying a water bottle on long runs: waiting forever at water fountains. Perhaps my fear is unfounded. 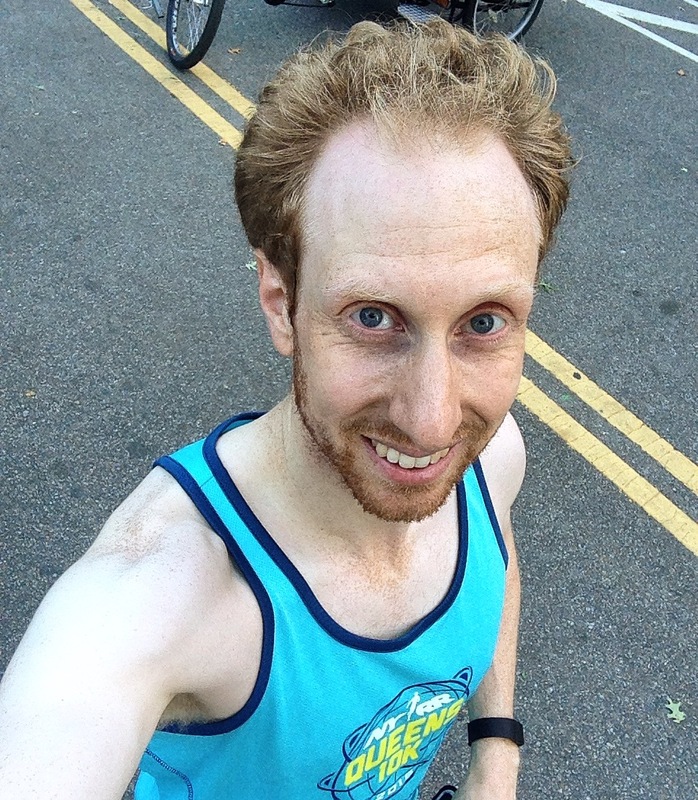 Anyway, looking forward to the Staten Island Half on Sunday, and then the NYC Marathon in just under four weeks!